From kindergarten on, Boas was educated in natural history, a subject he enjoyed. In gymnasium, he was most proud of his research on the geographic distribution of plants. Aside from his editorial work at Science, Boas secured an appointment as docent in anthropology at Clark University, in 1888. Boas was concerned about university president G. Stanley Hall's interference in his research, yet in 1889 he was appointed as the head of a newly created department of anthropology at Clark University. In the early 1890s, he went on a series of expeditions which were referred to as the Morris K. Jesup Expedition. The primary goal of these expeditions was to illuminate Asiatic-American relations. In 1892 Boas, along with another member of the Clark faculty, resigned in protest of the alleged infringement by Hall on academic freedom. After the exposition, the ethnographic material collected formed the basis of the newly created Field Museum in Chicago with Boas as the curator of anthropology. He worked there until 1894, when he was replaced (against his will) by BAE archeologist William Henry Holmes. Although Kant considered these two interests of reason to be objective and universal, the distinction between the natural and human sciences was institutionalized in Germany, through the organization of scholarly research and teaching, following the Enlightenment. In Germany, the Enlightenment was dominated by Kant himself, who sought to establish principles based on universal rationality. In reaction to Kant, German scholars such as Johann Gottfried Herder (an influence to Boas)  argued that human creativity, which necessarily takes unpredictable and highly diverse forms, is as important as human rationality. In 1795, the great linguist and philosopher Wilhelm von Humboldt called for an anthropology that would synthesize Kant's and Herder's interests. Humboldt founded the University of Berlin in 1809, and his work in geography, history, and psychology provided the milieu in which Boas's intellectual orientation matured. One of the greatest accomplishments of Boas and his students was their critique of theories of physical, social, and cultural evolution current at that time. This critique is central to Boas's work in museums, as well as his work in all four fields of anthropology. As historian George Stocking noted, however, Boas's main project was to distinguish between biological and cultural heredity, and to focus on the cultural processes that he believed had the greatest influence over social life. In fact, Boas supported Darwinian theory, although he did not assume that it automatically applied to cultural and historical phenomena (and indeed was a lifelong opponent of 19th-century theories of cultural evolution, such as those of Lewis H. Morgan and Edward Burnett Tylor). The notion of evolution that the Boasians ridiculed and rejected was the then dominant belief in orthogenesis—a determinate or teleological process of evolution in which change occurs progressively regardless of natural selection. Boas rejected the prevalent theories of social evolution developed by Edward Burnett Tylor, Lewis Henry Morgan, and Herbert Spencer not because he rejected the notion of "evolution" per se, but because he rejected orthogenetic notions of evolution in favor of Darwinian evolution. Although some sociobiologists and evolutionary psychologists have suggested that Boas was opposed to Darwinian evolution, Boas, in fact, was a committed proponent of Darwinian evolutionary thought. In 1888, he declared that "the development of ethnology is largely due to the general recognition of the principle of biological evolution"; since Boas's times, physical anthropologists have established that the human capacity for culture is a product of human evolution. In fact, Boas's research on changes in body form played an important role in the rise of Darwinian theory. [ citation needed] Boas was trained at a time when biologists had no understanding of genetics; Mendelian genetics became widely known only after 1900. Prior to that time biologists relied on the measurement of physical traits as empirical data for any theory of evolution. Boas's biometric studies, however, led him to question the use of this method and kind of data. In a speech to anthropologists in Berlin in 1912, Boas argued that at best such statistics could only raise biological questions, and not answer them. It was in this context that anthropologists began turning to genetics as a basis for any understanding of biological variation. In short, he shifted attention to the perception of different sounds. Boas begins by raising an empirical question: when people describe one sound in different ways, is it because they cannot perceive the difference, or might there be another reason? He immediately establishes that he is not concerned with cases involving perceptual deficit—the aural equivalent of color-blindness. He points out that the question of people who describe one sound in different ways is comparable to that of people who describe different sounds in one way. This is crucial for research in descriptive linguistics: when studying a new language, how are we to note the pronunciation of different words? (in this point, Boas anticipates and lays the groundwork for the distinction between phonemics and phonetics.) People may pronounce a word in a variety of ways and still recognize that they are using the same word. The issue, then, is not "that such sensations are not recognized in their individuality" (in other words, people recognize differences in pronunciations); rather, it is that sounds "are classified according to their similarity" (in other words, that people classify a variety of perceived sounds into one category). A comparable visual example would involve words for colors. The English word "green" can be used to refer to a variety of shades, hues, and tints. But there are some languages that have no word for " green". In such cases, people might classify what we would call "green" as either "yellow" or "blue". This is not an example of color-blindness—people can perceive differences in color, but they categorize similar colors in a different way than English speakers. During Boas's lifetime, as today, many Westerners saw a fundamental difference between modern societies, which are characterized by dynamism and individualism, and traditional societies which are stable and homogeneous. Boas's empirical field research, however, led him to argue against this comparison. For example, his 1903 essay, "Decorative Designs of Alaskan Needlecases: A History of Conventional Designs, Based on Materials in a U.S. Museum", provides another example of how Boas made broad theoretical claims based on a detailed analysis of empirical data. After establishing formal similarities among the needlecases, Boas shows how certain formal features provide a vocabulary out of which individual artisans could create variations in design. Thus, his emphasis on culture as a context for meaningful action made him sensitive to individual variation within a society ( William Henry Holmes suggested a similar point in an 1886 paper, "Origin and development of form and ornament in ceramic art", although unlike Boas he did not develop the ethnographic and theoretical implications). Although Boas did not name the spies in question, he was referring to a group led by Sylvanus G. Morley,  who was affiliated with Harvard University's Peabody Museum. While conducting research in Mexico, Morley and his colleagues looked for evidence of German submarine bases, and collected intelligence on Mexican political figures and German immigrants in Mexico. When Boas's letter was published, Holmes wrote to a friend complaining about "the Prussian control of anthropology in this country" and the need to end Boas's "Hun regime". Opinion[ who?] was influenced by anti-German and probably also by anti-Jewish sentiment. [ citation needed] The Anthropological Society of Washington passed a resolution condemning Boas's letter for unjustly criticizing President Wilson; attacking the principles of American democracy; and endangering anthropologists abroad, who would now be suspected of being spies (a charge that was especially insulting, given that his concerns about this very issue were what had prompted Boas to write his letter in the first place). This resolution was passed on to the American Anthropological Association (AAA) and the National Research Council. Members of the American Anthropological Association (among whom Boas was a founding member in 1902), meeting at the Peabody Museum of Archaeology and Ethnology at Harvard (with which Morley, Lothrop, and Spinden were affiliated), voted by 20 to 10 to censure Boas. As a result, Boas resigned as the AAA's representative to the NRC, although he remained an active member of the AAA. The AAA's censure of Boas was not rescinded until 2005. 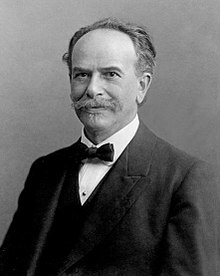 Franz Boas died of a stroke at the Columbia University Faculty Club on December 21, 1942, in the arms of Claude Lévi-Strauss. By that time he had become one of the most influential and respected scientists of his generation. Boas's first doctoral student at Columbia was Alfred L. Kroeber (1901),  who, along with fellow Boas student Robert Lowie (1908), started the anthropology program at the University of California, Berkeley. He also trained William Jones (1904), one of the first Native American Indian anthropologists ( the Fox nation) who was killed while conducting research in the Philippines in 1909, and Albert B. Lewis (1907). Boas also trained a number of other students who were influential in the development of academic anthropology: Frank Speck (1908) who trained with Boas but received his PhD. from the University of Pennsylvania and immediately proceeded to found the anthropology department there; Edward Sapir (1909) and Fay-Cooper Cole (1914) who developed the anthropology program at the University of Chicago; Alexander Goldenweiser (1910), who, with Elsie Clews Parsons (who received her doctorate in sociology from Columbia in 1899, but then studied ethnology with Boas), started the anthropology program at the New School for Social Research; Leslie Spier (1920) who started the anthropology program at the University of Washington together with his wife Erna Gunther, also one of Boas's students, and Melville Herskovits (1923) who started the anthropology program at Northwestern University. He also trained John R. Swanton (who studied with Boas at Columbia for two years before receiving his doctorate from Harvard in 1900), Paul Radin (1911), Ruth Benedict (1923), Gladys Reichard (1925) who had begun teaching at Barnard College in 1921 and was later promoted to the rank of professor, Ruth Bunzel (1929), Alexander Lesser (1929), Margaret Mead (1929), and Gene Weltfish (who defended her dissertation in 1929, although she did not officially graduate until 1950 when Columbia reduced the expenses required to graduate), E. Adamson Hoebel (1934), Jules Henry (1935), George Herzog (1938),and Ashley Montagu (1938). His students at Columbia also included Mexican anthropologist Manuel Gamio, who earned his M.A. after studying with Boas from 1909 to 1911, and became the founding director of Mexico's Bureau of Anthropology in 1917; Clark Wissler, who received his doctorate in psychology from Columbia University in 1901, but proceeded to study anthropology with Boas before turning to research Native Americans; Esther Schiff, later Goldfrank, worked with Boas in the summers of 1920 to 1922 to conduct research among the Cochiti and Laguna Pueblo Indians in New Mexico; Gilberto Freyre, who shaped the concept of "racial democracy" in Brazil;  Viola Garfield, who carried forth Boas's Tsimshian work; Frederica de Laguna, who worked on the Inuit and the Tlingit; and anthropologist, folklorist and novelist Zora Neale Hurston, who graduated from Barnard College, the women's college associated with Columbia, in 1928. Nevertheless, Boas has had an enduring influence on anthropology. Virtually all anthropologists today accept Boas's commitment to empiricism and his methodological cultural relativism. Moreover, virtually all cultural anthropologists today share Boas's commitment to field research involving extended residence, learning the local language, and developing social relationships with informants. Finally, anthropologists continue to honor his critique of racial ideologies. In his 1963 book, Race: The History of an Idea in America, Thomas Gossett wrote that "It is possible that Boas did more to combat race prejudice than any other person in history." Boas, Franz (1912). "The History of the American Race". Annals of the New York Academy of Sciences. XXI: 177–183. doi: 10.1111/j.1749-6632.1911.tb56933.x. ^ Glick, L. B. (1982). "Types Distinct from Our Own: Franz Boas on Jewish Identity and Assimilation". American Anthropologist. 84: 545–565. doi: 10.1525/aa.1982.84.3.02a00020. ^ Pöhl, Friedrich (1 January 2008). "Assessing Franz Boas' ethics in his Arctic and later anthropological fieldwork". etudinuit. 32 (2). doi: 10.7202/038214ar. ^ Allen, John S. (1989). "Franz Boas's Physical Anthropology: The Critique of Racial Formalism Revisited". Current Anthropology. 30 (1): 79–84. doi: 10.1086/203716. ^ Sparks, Corey S.; Jantz, Richard L. (2002). "A reassessment of human cranial plasticity: Boas revisited". PNAS. 99 (23): 14636–14639. doi: 10.1073/pnas.222389599. PMC 137471. PMID 12374854. ^ Jakobson, Roman; Boas, Franz (1944). "Franz Boas' Approach to Language". International Journal of American Linguistics. 10 (4): 188–195. doi: 10.1086/463841. ^ Darnell, Regna (1990). "Franz Boas, Edward Sapir, and the Americanist Text Tradition". Historiographia Linguistica. 17 (1–2): 129–144. doi: 10.1075/hl.17.1-2.11dar. ^ Postal, Paul M. (1964). "Boas and the Development of Phonology: Comments Based on Iroquoian". International Journal of American Linguistics. 30 (3): 269–280. doi: 10.1086/464784. ^ Lewis, H. S. (2001). "The Passion of Franz Boas". American Anthropologist. 103: 447–467. doi: 10.1525/aa.2001.103.2.447. ^ Liss, J. E. (1998). "Diasporic Identities: The Science and Politics of Race in the Work of Franz Boas and W. E. B. Du Bois, 1894–1919". Cultural Anthropology. 13: 127–166. doi: 10.1525/can.1998.13.2.127. ^ Browman, David L. (2011). "Spying by American Archaeologists in World War I". Bulletin of the History of Archaeology. 21 (2): 10–17. doi: 10.5334/bha.2123. ^ Baker, Lee D. (2004). "Franz Boas out of the ivory tower". Anthropological Theory. 4 (1): 29–51. doi: 10.1177/1463499604040846. ^ Beardsley, Edward H (1973). "The American Scientist as Social Activist: Franz Boas, Burt G. Wilder, and the Cause of Racial Justice, 1900–1915". Isis. 64: 50–66. doi: 10.1086/351043. ^ Briggs, Charles; Baumann, Richard (1999). "The Foundation of All Future Researches": Franz Boas. George Hunt, Native American Texts, and the Construction of Modernity". American Quarterly. 51: 479–528. doi: 10.1353/aq.1999.0036. ^ Jacknis, I (2002). "The First Boasian: Alfred Kroeber and Franz Boas, 1896–1905". American Anthropologist. 104: 520–532. doi: 10.1525/aa.2002.104.2.520. ^ Darnell, Regna (1973). "American Anthropology and the Development of Folklore Scholarship: 1890-1920". Journal of the Folklore Institute. 10 (1–2): 23–39. doi: 10.2307/3813878. ^ Epps, Patience L.; Webster, Anthony K.; Woodbury, Anthony C. (2017). "A Holistic Humanities of Speaking: Franz Boas and the Continuing Centrality of Texts". International Journal of American Linguistics. 83 (1): 41–78. doi: 10.1086/689547. Baker, Lee D (1994). "The Location of Franz Boas Within the African American Struggle". Critique of Anthropology. 14 (2): 199–217. doi: 10.1177/0308275x9401400205. Baker, Lee D (2004). "Franz Boas Out of the Ivory Tower". Anthropological Theory. 4 (1): 29–51. doi: 10.1177/1463499604040846. Bashkow, Ira (2004). "A Neo-Boasian Conception of Cultural Boundaries". American Anthropologist. 106 (3): 443–458. doi: 10.1525/aa.2004.106.3.443. Archived from the original on 2013-01-05. Benedict, Ruth (1943). "Franz Boas". Science. 97 (2507): 60–62. doi: 10.1126/science.97.2507.60. JSTOR 1670558. Bunzl, Matti (2004). "Boas, Foucault, and the 'Native Anthropologist'". American Anthropologist. 106 (3): 435–442. doi: 10.1525/aa.2004.106.3.435. Archived from the original on 2013-01-05. Kroeber, Alfred (1949). "An Authoritarian Panacea". American Anthropologist. 51 (2): 318–320. doi: 10.1525/aa.1949.51.2.02a00210. Archived from the original on 2013-01-05. Lewis, Herbert (2001a). "The Passion of Franz Boas". American Anthropologist. 103 (2): 447–467. doi: 10.1525/aa.2001.103.2.447. Lewis, Herbert (2008). "Franz Boas: Boon or Bane" (Review Essay)". Reviews in Anthropology. 37 (2–3): 169–200. doi: 10.1080/00938150802038968. Stocking, George W.; Jr (1960). "Franz Boas and the Founding of the American Anthropological Association". American Anthropologist. 62 (1): 1–17. doi: 10.1525/aa.1960.62.1.02a00010.